Two objects possibly related to the search for missing Malaysia Airlines flight MH370 have been sighted by satellite in the remote southern Indian Ocean, Australian officials said Thursday, calling it the "best lead we have". Prime Minister Tony Abbott said the "new and credible information" had come to light nearly two weeks after the plane vanished en route from Kuala Lumpur to Beijing with 239 passengers and crew on board. An Australian air force Orion was due over the area some 2 500 kilometres southwest of the western city of Perth imminently with three more long-range surveillance planes, including from the United States and New Zealand, to follow. A merchant ship was expected to arrive in the vicinity around 0700 GMT with Australian naval vessel HMAS Success, which is capable of retrieving the objects, some days away. "The objects are relatively indistinct. The indication to me is of objects that are of a reasonable size and probably awash with water and bobbing up and down over the surface," said Australian Maritime Safety Authority official John Young. "The largest... was assessed as being 24 metres. There is another one that is smaller than that. "This is a lead, it is probably the best lead we have right now," he added. In the vast and remote southern Indian Ocean, he cautioned that "they will be difficult to find", with poor visibility expected as the weather deteriorates. Abbott warned against drawing any premature conclusions. "We must keep in mind the task of locating these objects will be extremely difficult and it may turn out that they are not related to the search for flight MH370," Abbott told parliament. Young said it was possible the objects were containers that had fallen off ships. "There are many steps to happen before we get to that point (getting any single piece out of the water)," he added. "What we are looking for is a confirmation that it does belong to the aircraft, or it does not. We may get a sighting, we may not. We may get it tomorrow, we may not." The Malaysian government believes the jet was deliberately diverted on March 8 and flew for several hours after leaving its scheduled flight path -- either north towards Central Asia, or towards the southern Indian Ocean. 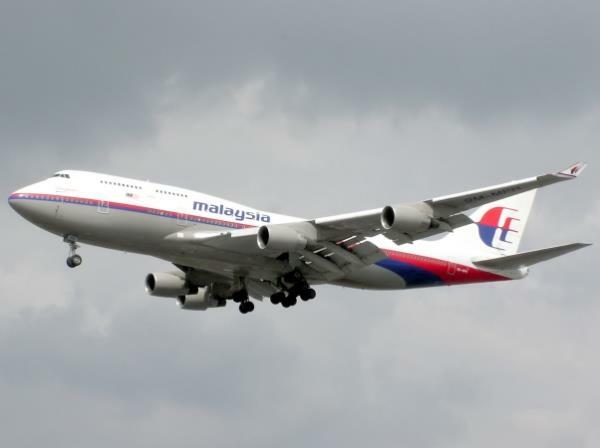 Authorities in Kuala Lumpur on Monday asked Canberra to take responsibility for the "southern vector" of the operation to locate the Boeing 777. Most of the passengers were Chinese or Malaysian; six were Australian. Australian, US and New Zealand surveillance planes have been scouring a huge tract of the southern Indian Ocean since Tuesday when Australian officials said it was like looking for a "needle in a haystack" and that the chances of finding any surface wreckage were slim, with planes not equipped to look underwater.